The decision made by the UK in 2016 to leave the European Union (Brexit) has brought with it many challenges for businesses as a whole. 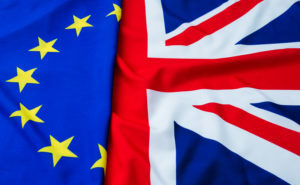 Whilst there is currently no certainty around what Brexit will mean or look like, and therefore planning for it seems like an impossible task, as a company we have dedicated time and resources to reviewing what Kenyon Group Ltd can do to prepare as best as possible for any eventual scenarios, and review what Brexit could mean for our operations, customers, suppliers and employees. Whilst we are reviewing our Brexit state of readiness, we fully appreciate that our customers and suppliers will in all probability be looking to do the same. Therefore we are taking this opportunity to pull together this statement to reassure other interested and potentially impacted parties that Brexit preparations are well and truly on our radar, and that we are aware that flexibility will be key in all provisions as it is impossible to predict the final outcome. As a Distributor of goods as opposed to Manufacturer, a key element for us is stock-holding to ensure that we have sufficient stock to provide continuity of supply for our loyal customers. Therefore, we have strategically increased our stock-holding for all key products and availed ourselves of additional warehousing owned by the company. We have also taken the bold decision not to shy away from investment & development, and consequently have committed to extend our main premises to allow for around a 40% increase in warehouse storage all on the same main site. We are equally working closely with our key suppliers / manufacturers to do our utmost to mitigate any impact of Brexit, whatever the final outcome may be. We will be constantly reviewing our position as progress and decisions are made. May we take this opportunity to thank you for your valued custom we look forward to continuing our trading relationship for many years to come.